Since it's still cold here, we're still eating what I consider "cold weather" dinners. I don't know about you but there are just certain meals we only eat during cold weather. It just seams weird to make them in the summer. Chili is one of those meals. 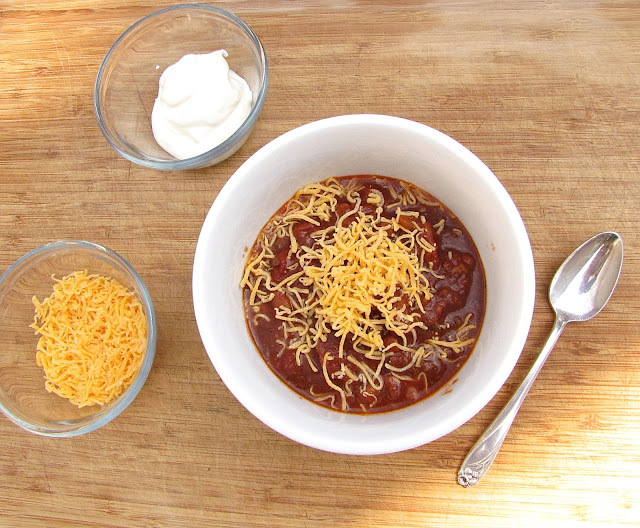 I found a delicious recipe for chili years ago in one of my Taste of Home magazines and have been making it ever since. I've altered it slightly so I'm sharing the version of what I make today. Another plus... it's a slow cooker meal so you can make it in the morning and it's ready by dinner. Yay!